The first day I went to school, I was invited to go join the English, so yesterday I went to join one of their meetings. I'm glad I did. At the beginning of the meeting, everybody introduced themselves and then we made groups of three and chatted. However, rather than having a normal ol' conversation with the club leader and one other member, we played a card game. Before I left my apartment to go take some pictures and look for other clubs (like the photography club), I put a card game called Star Realms in my backpack. I thought that it would be fun and might come in handy as English practice at the club, so I took it with me. As expected, it was fun. One of my conversation partners likes card and board games, rather than video games, so it was a good I brought it. One of his friends is interested in games like that, too, so they may end up buying it some time. After we finished the game, I talked with a couple of the Chinese members of the club. Their English was pretty good. 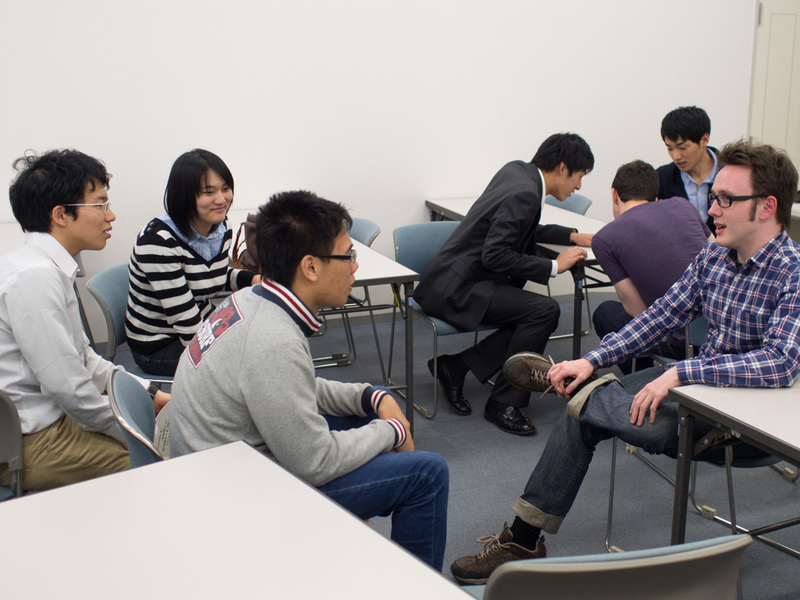 Everybody there is studying either economics or business management, so I was able to talk with them about finding work. Of course, if you learn a foreign language, it has an affect on finding work. We talked about future plans and what kind of work we want to do. I asked one of them where he wanted to work. 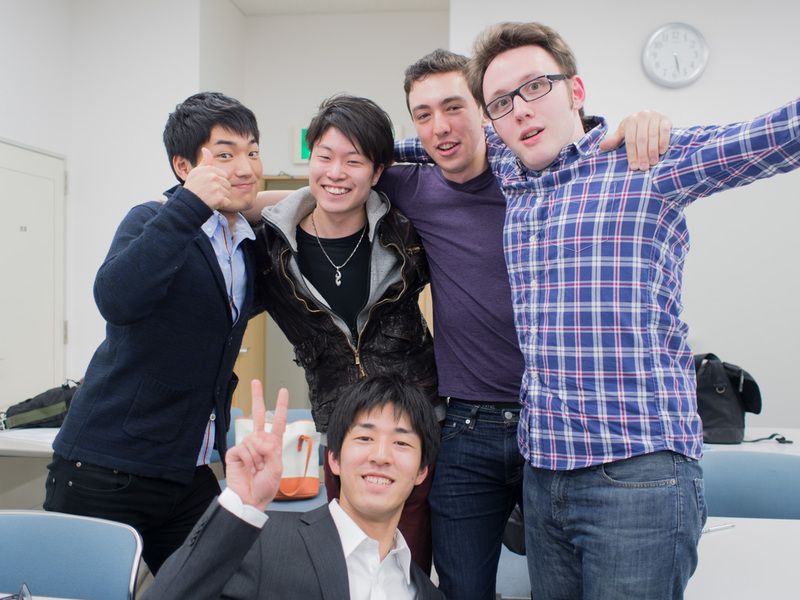 He said that he first wants to work in Japan for a while to experience Japanese business culture. After a few years of that, he wants to go back to China and work for a company that has a relationship with a Japanese company. When I asked why, he said he wants to live close to his family. Japanese salaries are better it seems, but he wants to live close to his parents. He said it would be ideal to live in China while working for a Japanese company and getting a Japanese-sized paycheck. 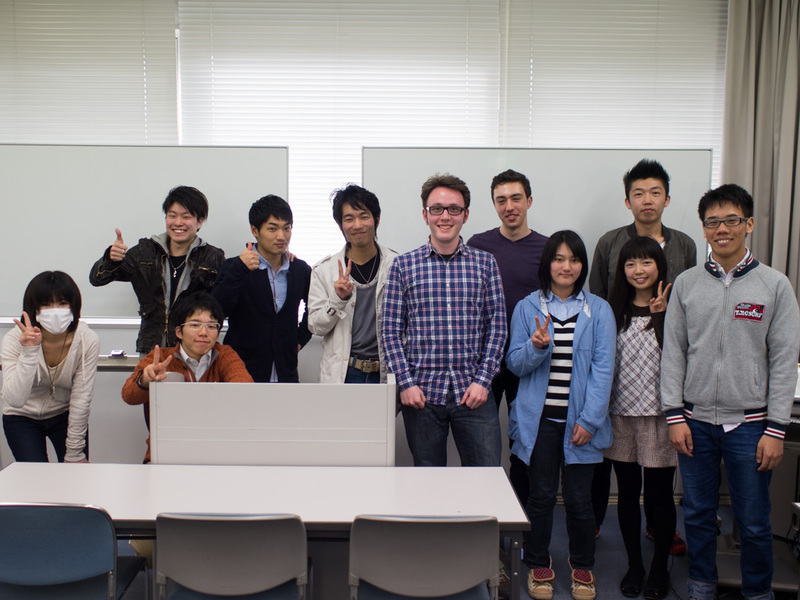 When I talked with them, it made me think about my own future.